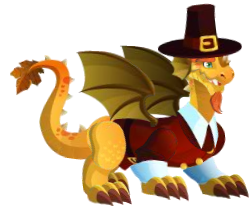 Unique Dragons are special dragons which are not breedable. You can't get them in the shop, unless it's a limited offer. You can get them just by doing special tasks and offers. Class C of Unique Dragons is pretty good. Dragons' strength is similar to strength of Strong Basic Hybrids. 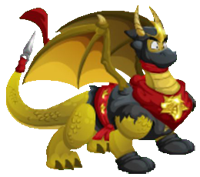 "Release this magical dragon into your Islands and enjoy its mesmerizing beauty! You will never be able to catch it but you can enjoy its fiery temper from afar." "Sometimes the most beautiful thing can be the most harmful. 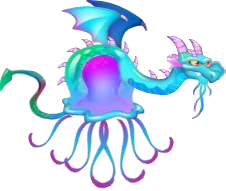 Looking at the Jellyfish dragon might feel like a mesmerizing dream, until you get too close..."
"Keep your eyes at this dragon all the times, since it despite its cute look, it's extremely dangerous and crafty! Turn around and you might have a ninja star in your back.."
ghostly dragon posseses a slightly spirit paranormally so you'll never know if it's evil or good when you play with it." "Will love unite us or tear us apart? For those searching answers for some big questions, getting to know this endearing dragon is highly recommended! All you need is Love Dragon." 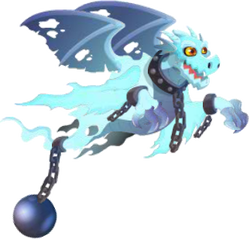 "This dragon is one of the first habitants of the magical Dragon Islands! It's known for it's humble and grateful nature and has an incredible fondness towards oven cooked turkey."